Finally the football is out of the way and the Super Bowl 50 halftime show has begun! (Sorry, people who like sports better than music!) 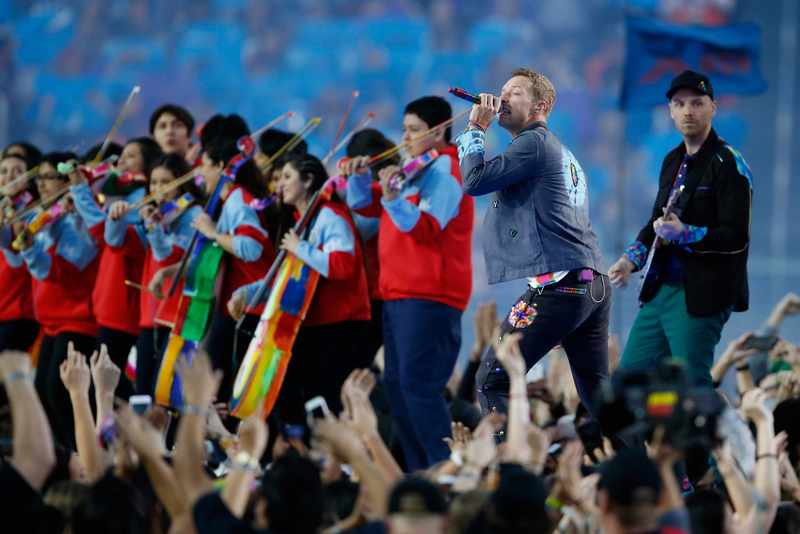 If you watched the show, you might have noticed some kids playing instruments on stage with Coldplay. Personally, they kind of reminded me of the children who ascort the players out during World Cup soccer games — just in that they're children who get to be a part of a VERY major televised sporting event. Like, how much cooler could your life get at age, say, 10? That said, who are these kids at the Super Bowl?! This isn't the first time children have been included in the Super Bowl halftime show. For example, in 1993, Michael Jackson performed with 3,500 children from the local area of where the game was held. This year, though, the kids had to travel a little farther. The game was held at Levi's Stadium in Santa Clara, Calif. (near San Jose) and the kids were from Youth Orchestra L.A., aka YOLA. The students who played at the Super Bowl attend YOLA @ EXPO, a partnership of the LA Phil, Harmony Project, and the EXPO Center, a City of Los Angeles Department of Recreation and Parks facility. Not only are these kids great musicians and making their talent known in L.A., but now they've performed at the Super Bowl! It's definitely a great moment for them. And I've gotta say, the middle school clarinet player inside of me is more than a little jealous!